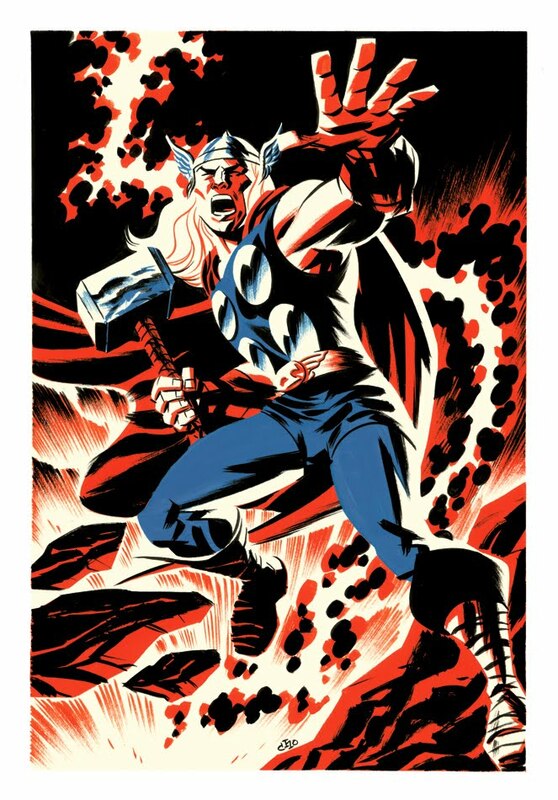 Posted September 4, 2012 in Michael Cho, Silver Star, The Thing, Thor. 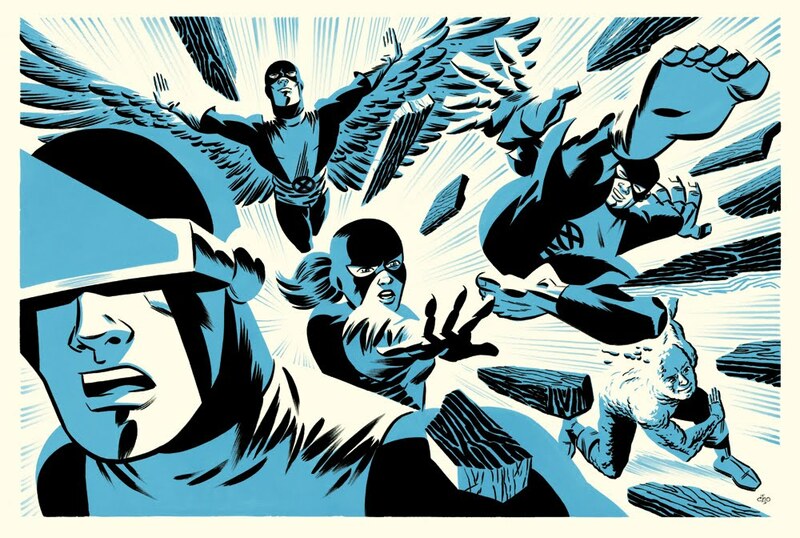 Inspired new artwork from Michael Cho. 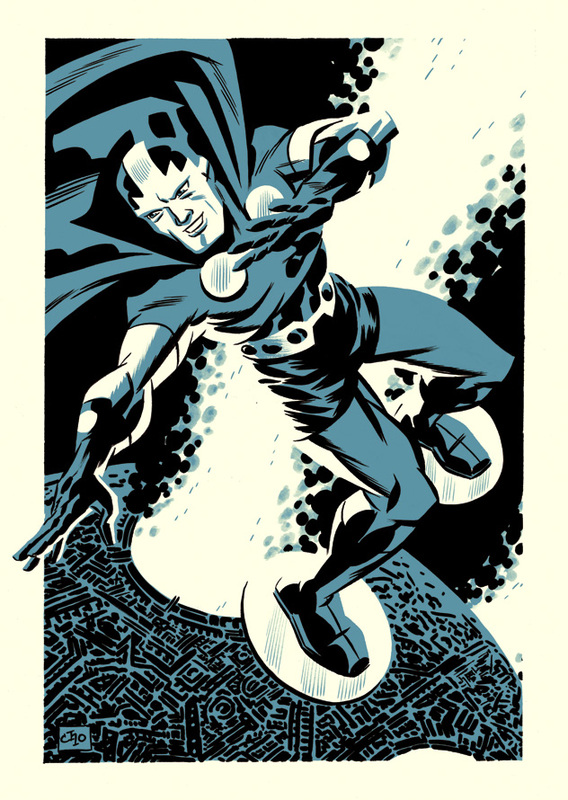 Posted August 24, 2010 in Captain America, Michael Cho, Mister Miracle. 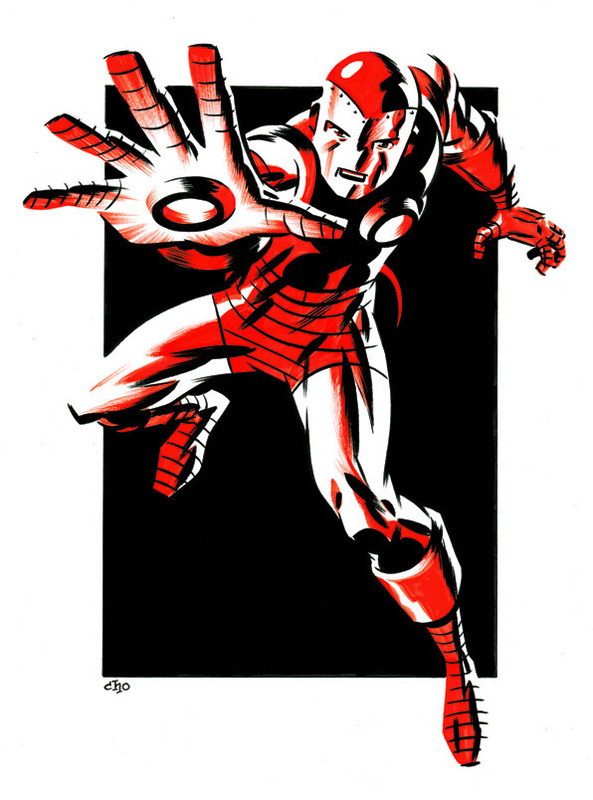 Captain America and Mister Miracle in gouache and ink by Michael Cho. 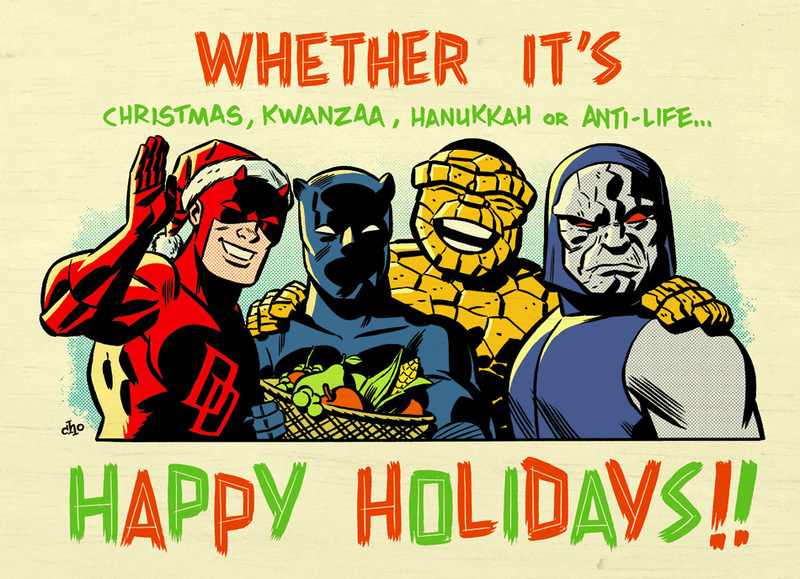 Posted May 14, 2010 in Captain America, Iron Man, Michael Cho, Thor. 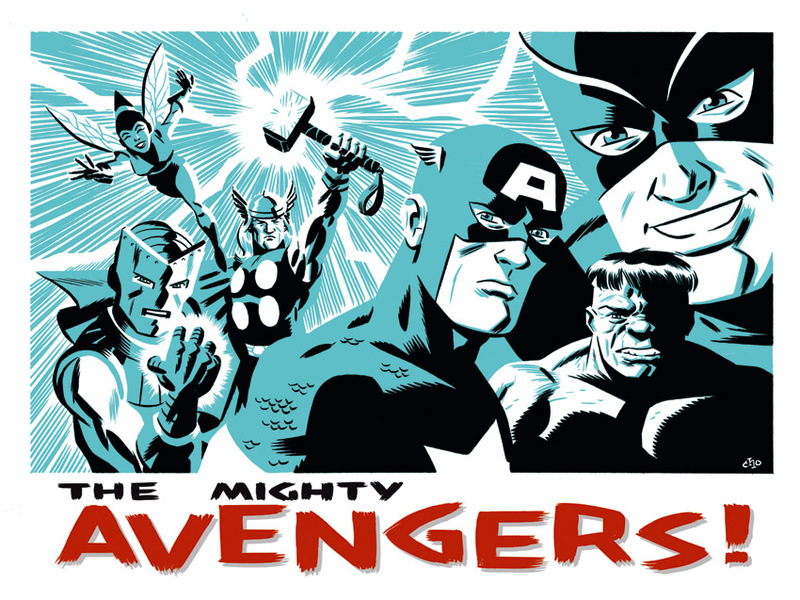 The core members of The Avengers: Iron Man, Thor and Captain America, courtesy of Michael Cho. If you picked up one of these gouache and ink paintings at the recent Toronto Comics Arts Festival then you are indeed a lucky fellow. 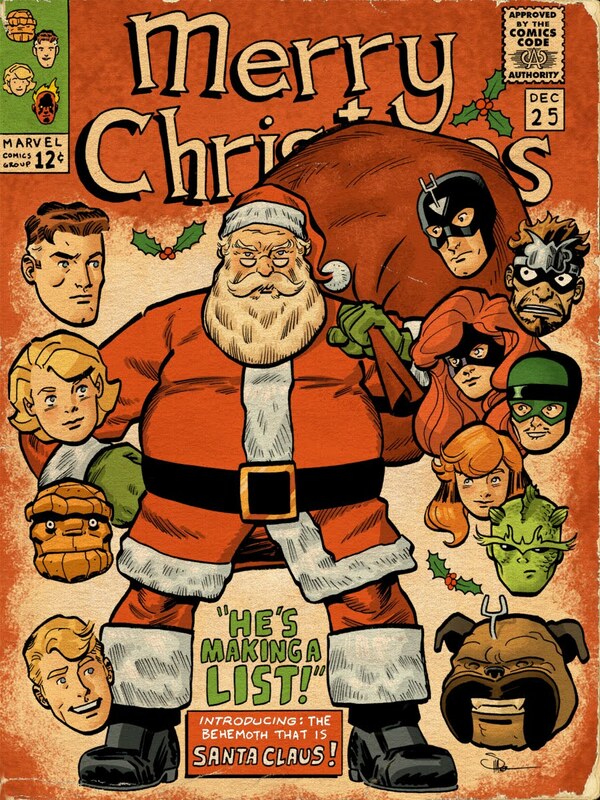 More of Michael’s Marvel Superheroes can be found at his blog here and here. 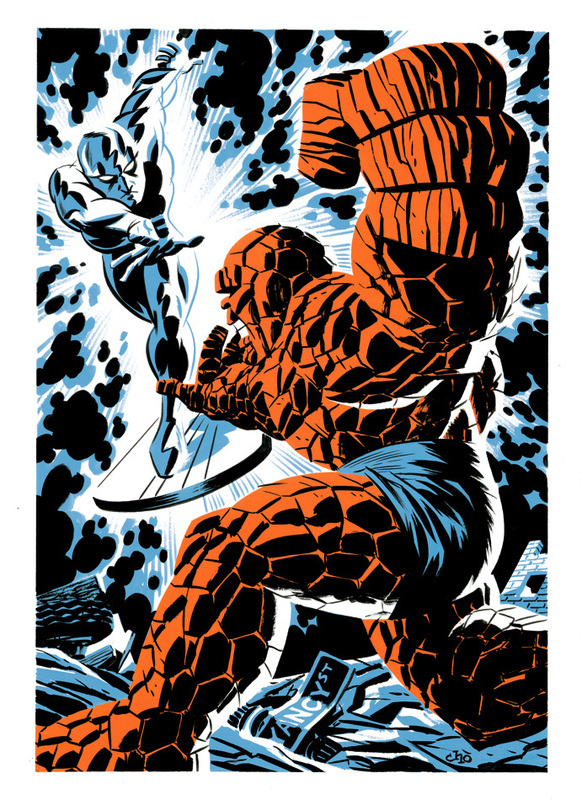 Posted January 26, 2010 in Darkseid, Michael Cho. 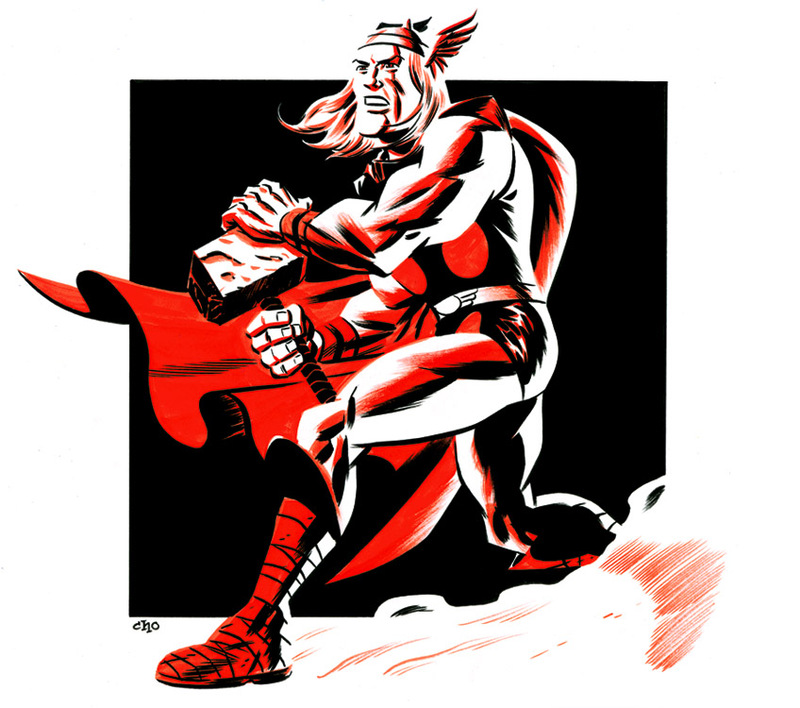 The steely gaze of Darkseid – The Lord of Apokolips, a terrifying vision in gouache and ink by Michael Cho. 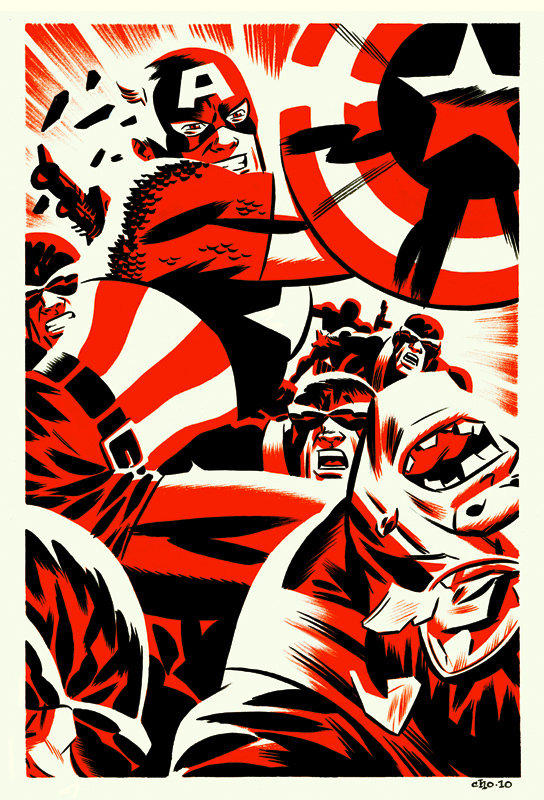 Posted November 30, 2009 in Captain America, Giant-Man, Iron Man, Michael Cho, The Avengers, The Hulk, The Wasp, Thor. 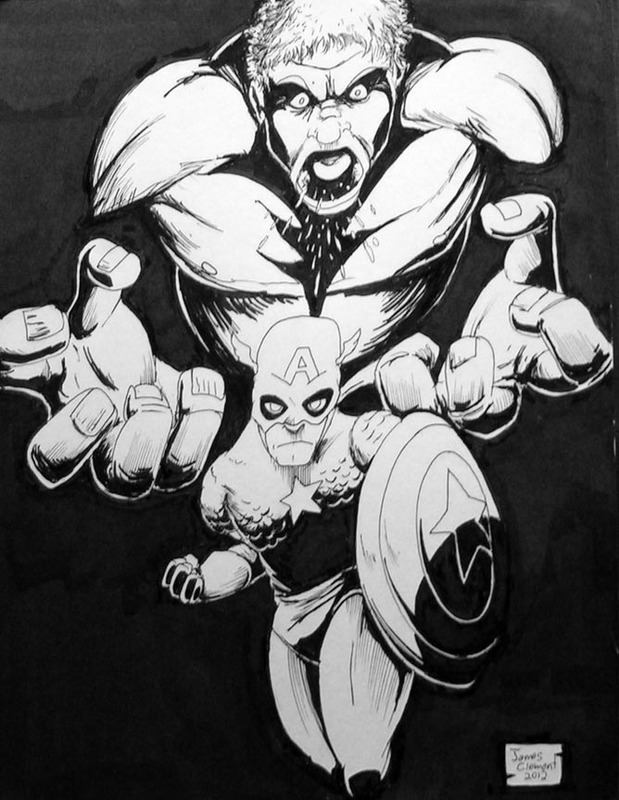 The Mighty Avengers! 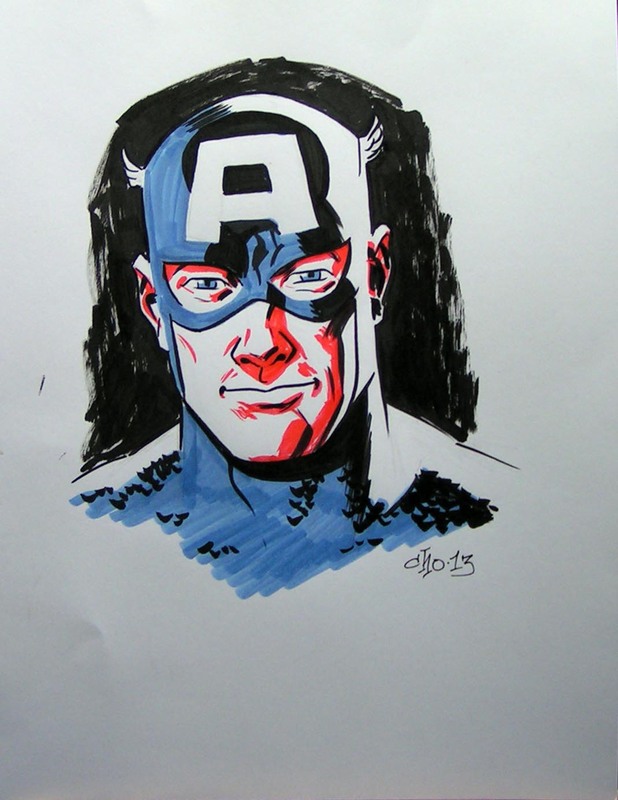 rendered in markers and ink, courtesy of Michael Cho. 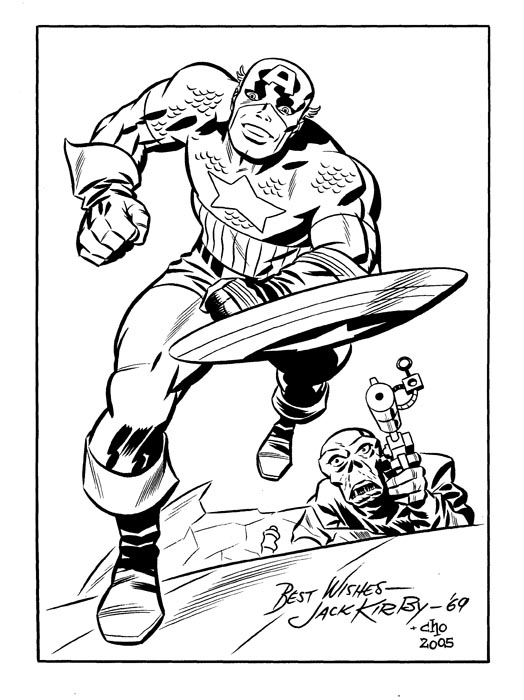 Posted October 7, 2009 in Captain America, Jack Kirby, Michael Cho. 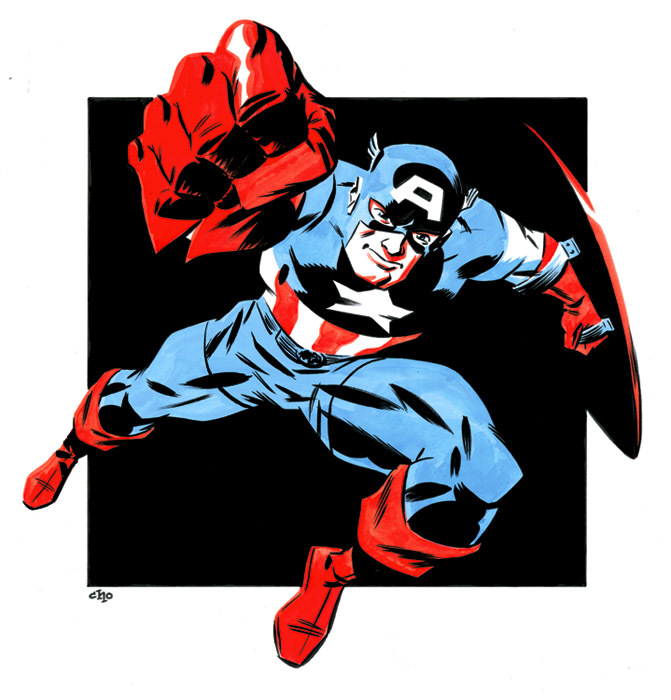 Captain America – inked from original Kirby pencils by Michael Cho. 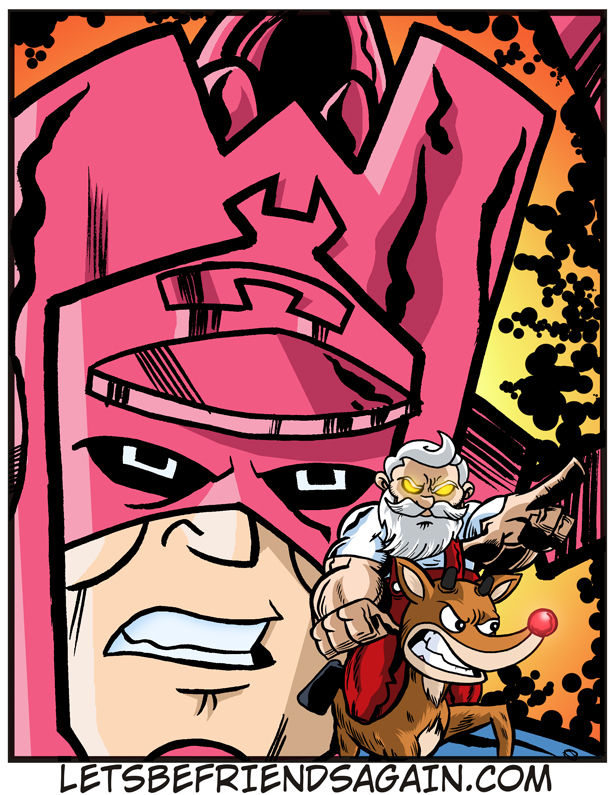 Posted August 20, 2009 in Galactus, Michael Cho. 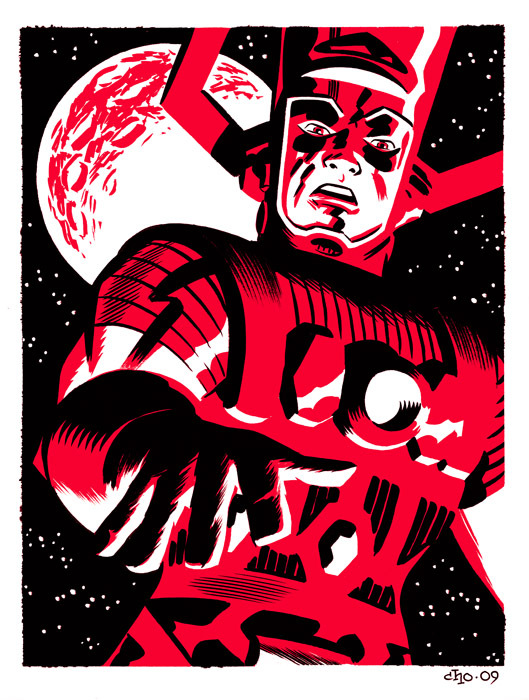 Galactus – commission piece in gouache and ink by Micheal Cho.